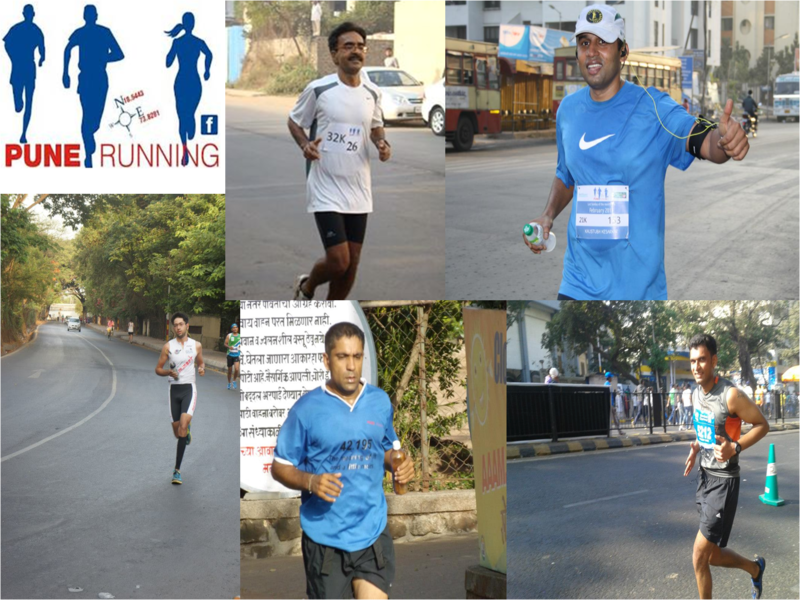 It was a gathering of about 100, to listen to ironman – Nishit Biniwale and Comrades – Vivek Prasad (3 consecutive times), Kaustubh Keasrkar (2 Consecutive times), Dnyanesh Chitnis and Dr. Sandeep kate (1 Time). They shared their experiences starting with, getting to know running – getting motivated to do it (or go for it) – then their preparation and finally experience of what it was during the event. Before they attempted such a feat – They all were an average sports enthusiast and doing something or other to keep themselves fit nothing more! They all had some or other turning point to look at these events as a challenge for them. The turning point was not offered to them but they all searched for it themselves and found it (Do we need to keep our eyes / ears / and all senses open for such turning points – one never knows when the opportunity will present itself and am I ready to take such challenges – why not!) or is it a fear of unknown that is holding me back every time. All had a time frame of about One year plus to develop it as a passion. All of them set themselves a Goal and went for it; and never ever allowed the thought of giving up surface in their mind. All of them had a belief in themselves that they can do it. All had some or other break point during the event; where a thought struck their mind- why they were doing it despite that they went on doing it just because they had decided to do it. Even after achieving such a feat, every one of them was humble and full of humility and humor. All were eager to convey that we all or everyone else can also do it. You all would agree, in such a short span of time how these guys gave us no. of lessons for a life. We have a saying in Commando Wing of the Infantry School “When the Going gets Tough; the Tough get Going!” which these guys proved it right. We are really thankful to them and Pune Running for organizing such a talk for us and also to Rakesh Mehta for making the environment conducive for such interaction. Happy Running! –Happy Swimming! – Happy Cycling!